Oil and gas markets seemed headed for uneasy balance at the start of 2019 but faced troubling questions related to global economic growth and geopolitical pressures. Bob Tippee, Editor of Oil & Gas Journal, will discuss the near-term forecast—and its uncertainties—and examine the longer term future of oil and natural gas. 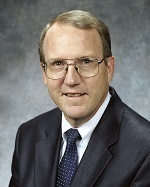 Bob Tippee is Editor of Oil & Gas Journal, a weekly trade magazine, and its website, Oil & Gas Journal Online. Since joining the Journal staff in 1977, he has written on all technical, economic, and political aspects of the international petroleum industry. He writes the Journal’s weekly editorials and a weekly column, The Editor’s Perspective. His work has won awards from American Business Media, New York Society of Business Press Editors, Association of Petroleum Writers, International Association for Energy Economics, International Association of Energy Advocates, and Houston Society for Technical Communications. He has won the Cicero Speechwriting Award three times and is the 2010 recipient of American Business Media’s G.D. Crain, Jr. Award honoring contributions to the development of editorial excellence in business media. Tippee became the Journal’s chief editor in January 1999. He also was Editor-in-Chief of the 1997 through 2001 editions of the Journal’s annual affiliate, International Petroleum Encyclopedia. Tippee has directed many PennWell Petroleum Group conferences and written or cowritten three books on oil and gas subjects. A native of St. Louis, Missouri, he holds a degree in Journalism from the University of Tulsa and served as an officer in the U.S. Air Force for four years. Online registration will close at Noon on Thursday, March 7, 2019. A boxed lunch will be served. Detailed campus maps are available on the web at http://www.rice.edu/maps/. The Ley Student Center is located in the central part of Rice campus. The Central Campus Garage, which is the closest parking facility, is located to the across the street from the Student Center. In the possibility the underground parking is full, the second closest parking is the West Lot. Continue down the Laboratory Loop Road to the stop sign. The campus also offers a bus shuttle that runs about every 15 minutes as it loops the campus. Note: In order to protect the privacy of the luncheon attendees, the list of attendees is not published or distributed. This Roundtable qualifies for one (1) Professional Development Hour (PDH). Your email confirmation at completion of registration serves as your PDH and payment receipts. Paper receipts may be picked up at the registration desk at time of check-in.